One of the best options for vision correction today is LASIK surgery. 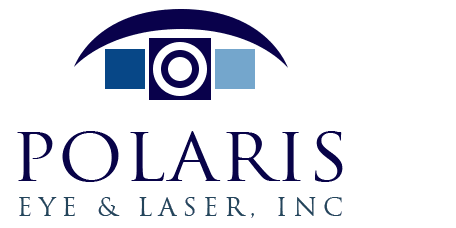 At Polaris Eye & Laser in Los Gatos, California, Dr. Jeehee Kim can help patients with nearsightedness, farsightedness, and astigmatism through LASIK or PRK surgery. This gives many people the chance to finally see clearly without glasses. What is LASIK, PRK, ASA? LASIK is Laser-Assisted In-Situ Keratomileusis, a vision correction surgery performed on almost 1 million patients every year. LASIK surgery is designed to reduce the need for glasses or contact lenses for vision correction. This type of surgery can correct myopia (nearsightedness), hyperopia (farsightedness), and astigmatism through reshaping the cornea. During LASIK surgery, the subsurface of the cornea is reshaped. Similarly, Advanced Surface Ablation (ASA) formerly known as PRK (photorefractive keratectomy) also reshapes the surface layers of the cornea. Properly reshaped and corrected, the eye can focus, reducing the need for other corrective eyewear. How Does LASIK and PRK Surgery Work? Patients are made comfortable during surgery, and numbing eye drops are given. In LASIK surgery, a very thin outer layer of the cornea is surgically separated from the underlying corneal tissue. This flap is folded out of the way, so that the tissue immediately beneath the corneal surface, the stroma, can be accessed. As Dr. Kim views the eye through the microscope, she will then use a specialized laser, the excimer laser, to gradually reshape corneal stroma tissue. The exact quantity of corneal tissue to be removed is predetermined based upon the patient's unique eye conditions. Finally, the flap is placed back in position. In most cases, no stitches are needed, and the corneal flap will adhere itself to the eye again quickly. PRK uses the same excimer laser to reshape the stroma, after surface cells are removed with a special brush. Contact lenses and eye drops reduce irritation after PRK surgery, while surface cells grow back naturally. Who is a Candidate for LASIK or PRK Surgery? Laser candidates must be at least 21 years old. The prescription must be within the range of -1.00 to -11.00 diopters for nearsighted patients and +5.00 diopters or less for farsighted patients and patients with astigmatism. People who opt for surgery should have a stable vision prescription for a minimum of a year before the surgery, and eyes should be overall healthy and free of disease. 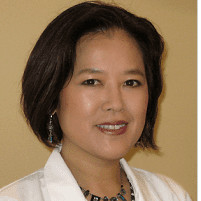 Dr. Kim offers a free consultation to review whether you are a good candidate for laser vision correction.